Three Hudson bay wolves were born at Artis Wildlife Park Amsterdam! The pups are now finally getting out of the den to explore their habitat. Wolves almost certainly back in Netherlands after series of sightings: Three independent witnesses have reported sightings of a wolf in and around Oostmarsum, Overijssel, around 12 kilometres from the German border. A young wolf was photographed on a German airfield close to the border last year. Roel Korbee, of the Dutch forestry commission Staatsbosbeheer, told Tubantia it was “very likely” that the wolf had wandered across the border in early June and spent between 30 and 48 hours in the Twente region. Wolven in Nederland, which monitors wolf sightings, said on its website it could not confirm the sighting because there was no “watertight evidence” such as DNA. The organisation has set up cameras at numerous points along the border in Drenthe and Overijssel with sensors that activate when an animal passes in front of them. 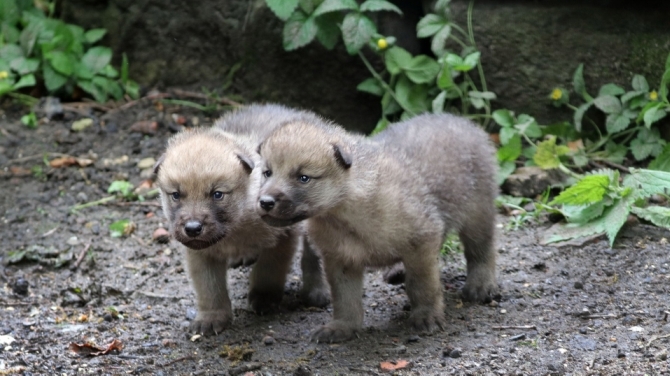 Responses to "Amsterdam Wildlife Park Welcomes 3 Amazing Wolf Pups (Video)"